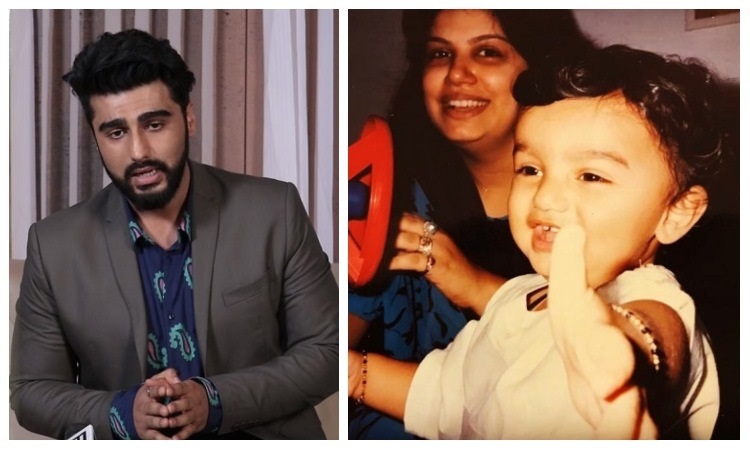 Actor Arjun Kapoor shared a heartfelt post remembering his mother Mona Shourie Kapoor on her seventh death anniversary. The actor took to his Instagram handle and posted a childhood picture of him with his mom. Arjun wrote, "You were my smile and I hope wherever you are I make you smile still... it's been 7 years since you left us and all your son is asking you is come back na, please." Mona Shourie Kapoor passed away due to cancer on March 25, 2012, days before the release of Arjun's Bollywood debut Ishaqzaade. Mona was Boney Kapoor's first wife. Meanwhile, on the work front, Arjun Kapoor will be next seen in Dibakar Banerjee's Sandeep Aur Pinky Faraar which also features Parineeti Chopra as the leading lady.